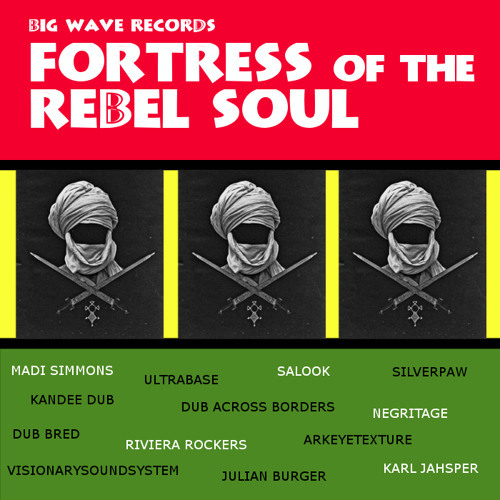 FREE DOWNLOAD: https://bigwaverecords.bandcamp.com/album/fortress-of-the-rebel-soul Fortress Of The Rebel Soul (BWR/12) is a guest compilation album inspired by the 'Music To Have A Rebellion' shows which were hosted by Sean M Kilpatrick (n0mad 23), which ran as a special on Loop Radio in 2014. The show featured a few of our label`s own resident artists as well as members from the 'Dub Guild' - the same members we have featured on this album alongside some new guest artists, each bringing their own individual style and flavour. Sticking with the 'Music to have a rebellion to' theme, all artists involved created an exclusive track based in and around this concept; music that will make the listener want to rise up and make a stand.. widespread poverty, fascism, political corruption... what better way lift the depression than through the language of Dub and Reggae music. It is such a positive force and a great medium for relaying positive messages.